Your residential property is your #1 investment. PSI Pressure Washing is here to protect it with our soft wash solution. 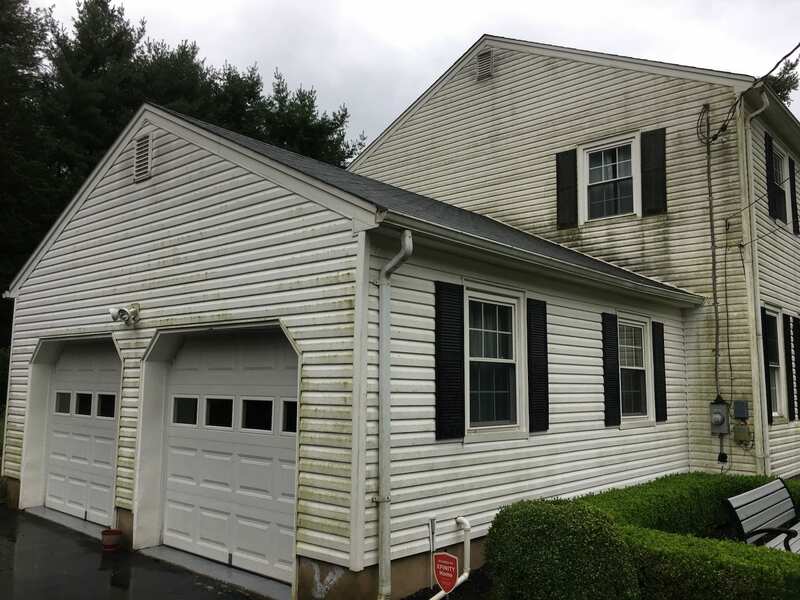 If you’ve seen stains on your exterior, it’s an ugly reminder of what the mid-Atlantic climate can do to New Jersey homes. Mold, mildew, algae, and other debris don’t just take a hit to your curb appeal - they also harm the value of your home. 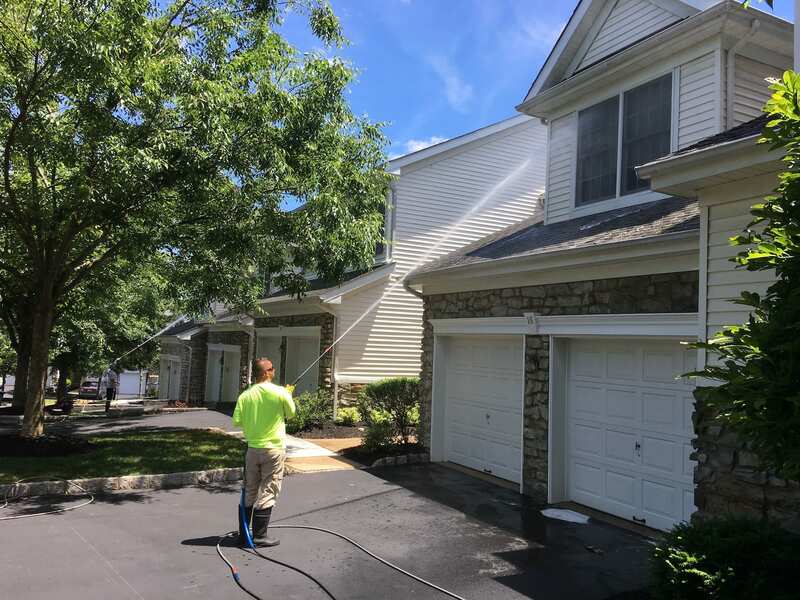 Many companies credit high-pressure power washing as the “solution.” But this outdated method actually causes more harm than benefits - from water damage to damaged siding, it creates more hassle and more expenses down the road. An alternative is needed to protect your curb appeal and your home quality. PSI Pressure Washing is here to bring that better alternative to you! Your home is an important investment, and our house washing service honors this fact. 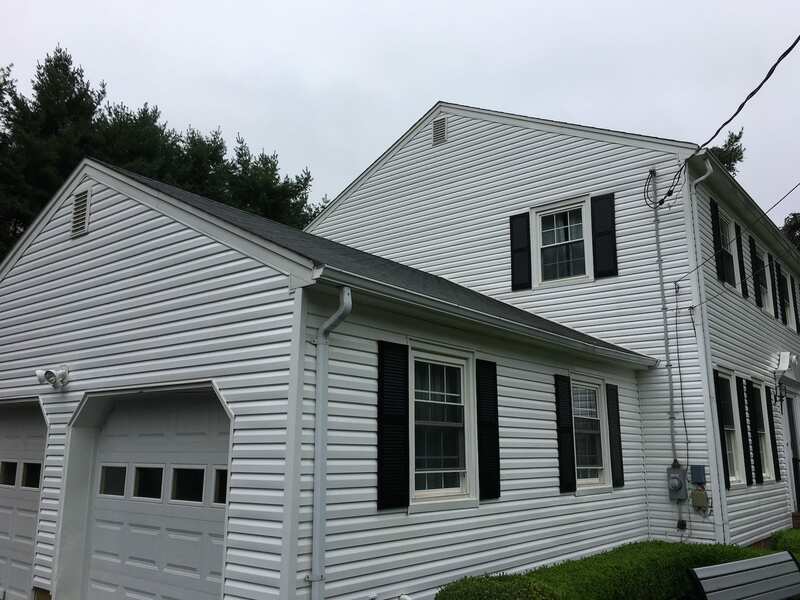 Conventional pressure washing methods harm your exterior more than they benefit it, resulting in cracked siding, water damage, and other costly issues. We are here with the alternative. Our soft wash service only uses low-pressure equipment that transfers water and cleaner without force onto your exterior. Our detergents are pet and plant friendly and work as a mold inhibitor to keep your siding looking at its best for a longer period of time. We’ve seen too many homes that have been harmed by high-pressure washing techniques, and we’re proud to provide a safe replacement for our customers. Complete stain removal: From mold to mildew to algae, we tackle it all. Solutions for every surface: Vinyl, wood, stucco, dryvit, brick, and more are all in good hands with our team. ‘Like new’ exteriors: Customers consistently remark that their home looks like it’s brand new after our soft wash service. Our approach and products are tailored to bring the best quality of your home. Come expecting high standards from PSI Pressure Washing -- because that’s what you’ll get! PSI Pressure Washing has been giving customers power washing success for years, and we’re proud of it. Our on-the-ground experience, combined with a genuine dedication to your satisfaction, makes us a reliable choice for your residential needs. We’re a team that is completely locally owned and operated, so we know what challenges your property faces. With the best cleaning products, the most modern equipment, and a constantly evolving technique on our side, we bring the best results to your home. We treat your home like it’s our very own. Whether we’re power washing your driveway or soft washing your home exterior, we’ll always choose the method that is the safest and the most effective. Customers never have to doubt that they’re getting the best service in New Jersey - that’s a guarantee! A power washing service is one of those few property investments that doesn’t come with any “cons” - only “pros.” It’s an affordable way to safeguard the long-term quality of your property and enhance curb appeal. Curb appeal: The annual Cost vs. Value Report continues to credit curb appeal as the #1 project a homeowner can undertake. We make it easy by doing all the work for you. Long-term durability:The quality of your property will continue to climb if your home is well-maintained. We remove the bacteria, dirt, and other buildup that can harm the longevity of your home. High value for cost:Our power washing services are affordable, but the benefits continue to boost your property months after our technicians leave your property. Better health and sanitation: Mold and mildew don’t just harm curb appeal - they also hurt your health. We remove bacteria and prevent growth so everyone can breathe easy. We’re obsessed with customer satisfaction. With our experts on the job, you can always expect the best for your home. Get a power washing solution that you can always count on with PSI Pressure Washing!